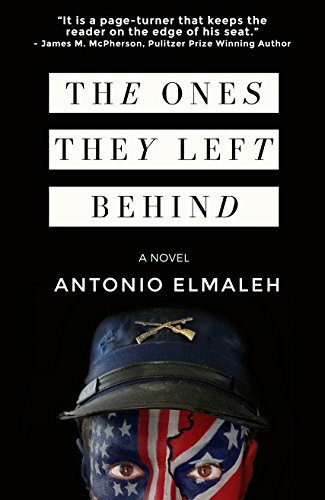 The Ones They Left Behind is a sweeping, riveting, historically accurate account of post-Civil War America told through the journey of Harriman Hickenlooper, a Union veteran who sets off on a one-man peace march to heal the wounds of a bitter and divided country by retracing his steps on Sherman s March to the Sea. This time, instead of carrying a gun, he will carry a flag. Instead of marching for war, he will march for peace and find a reason to live and love again. The Ones They Left Behind is a riveting and compelling read about a former Union soldier, Harriman Hickenlooper, who sets out on a personal odyssey to save his farm and heal the great wounds of the Civil War. Along the way, each person he encounters in this hostile environment reveals something of the bad and the good angels of our nature and forces Harriman to confront prejudice, fear, danger and violence. In his first novel, Antonio Elmaleh lifts our spirits as basic human decency prevails and a good man finds redemption and love. –Frank DeLuca, Senior Vice President, The Civil War Trust Washington, D.C. This is the ebook for cooks who want to take their cooking to a whole new level. Martha Holmberg was trained at La Varenne and is an award-winning food writer. Her look at this sometimes-intimidating genre—expressed in clear, short bites of information and through dozens of process photographs—delivers the skill of great sauce-making to every kind of cook, from beginners to those more accomplished who wish to expand their repertoire. 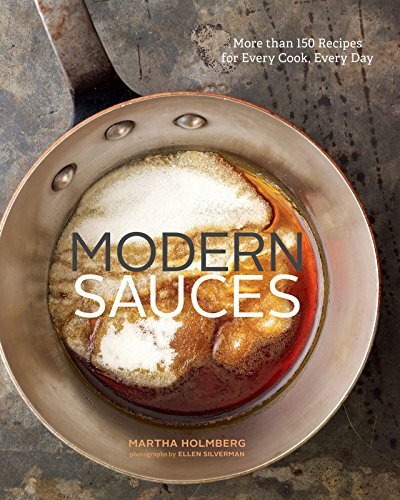 More than 100 recipes for sauces range from standards such as béarnaise, hollandaise, and marinara to modern riffs such as maple-rum sabayon, caramelized onion coulis, and coconut-curry spiked chocolate sauce. An additional 55 recipes use the sauces to their greatest advantage, beautifying pasta, complementing meat or fish, or elevating a cake to brilliant. Modern Sauces is both an inspiration and a timeless reference on kitchen technique. Now Clare once again plunges back into this sensational story. 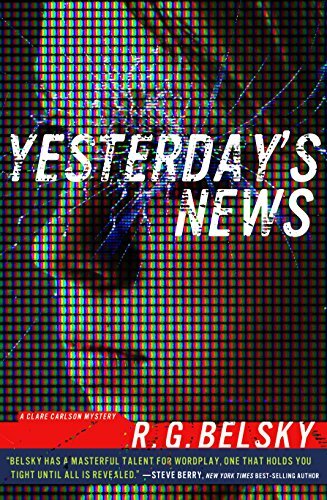 With new evidence, new victims, and new suspects–too many suspects. Everyone from members of a motorcycle gang to a prominent politician running for a US Senate seat seem to have secrets they’re hiding about what really might have happened to Lucy Devlin. But Clare has her own secrets. And, in order to untangle the truth about Lucy Devlin, she must finally confront her own torturous past. DOWNLOAD THE HOTTEST BEACH READS! Ten steamy summer books from bestselling authors fill this limited-time boxed set! If you love brooding heroes and timeless romance, this is for you! 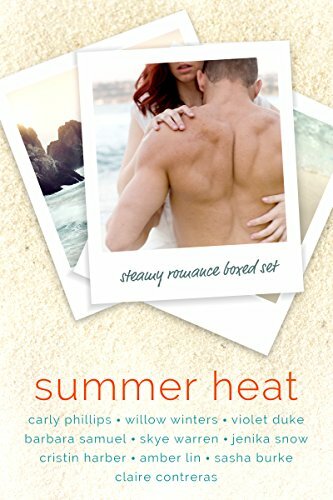 SUMMER HEAT is a brand new boxed set for the summer as a gift to our readers and to introduce you to new series to love! Hope’s world doesn’t have room for heroes. She barely has time for schoolwork, swim team, and taking care of her ailing mother. But when she’s invited to a mysterious tournament, the all-powerful hosts won’t take no for an answer. ˃˃˃ Transported to Mount Olympus, Hope comes face to face with her new trainers, the pantheon of Greek gods. While other contenders train hard to gain a fighting edge, Hope searches for a way out. Instead, she finds a gorgeous shadow god who may just convince her to stay. ˃˃˃ As each round unfolds, the ultimate prize draws closer, the granting of her heart’s deepest desire. If she survives the final challenge, her mother’s cure would be within reach, but only if Hope can ignore the tournament’s dark purpose. 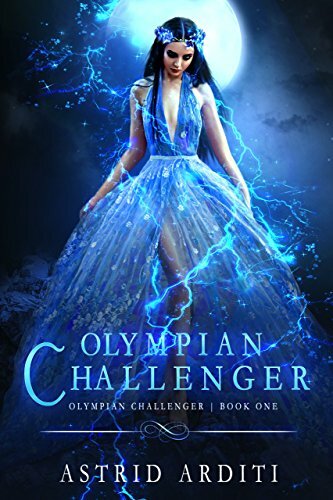 ˃˃˃ Olympian Challenger is the first book in a bold YA urban fantasy trilogy that fans of Rick Riordan and Susan Collins are sure to devour. If you like Greek mythology, forbidden romance, and feats of courage, then you’ll love Astrid Arditi’s heroic coming-of-age tale. Medieval England comes alive in Book one of the exciting new sub-series, THE DARK SONS (part of the de Russe Legacy). 1518 A.D – As the eldest son of the knight who betrayed Richard III at the Battle of Bosworth (Gaston de Russe of THE DARK ONE: DARK KNIGHT), Trenton de Russe bears the dark legacy of men who changed the course of history. The name de Russe is both hated and revered in England, and is well-known to the kings of England who have depended upon the family for their strongest, most noble, and sometimes most controversial knights. Trenton is a man with great burdens to bear. As a special ops knight for Henry VIII, it is Trenton’s duty to carry out the king’s command and he has been known to have accomplished some questionable as well as dirty tasks. With Trenton as Henry’s attack dog, enemies fear de Russe more than the king himself. Trenton suffers a dysfunctional relationship with his father because of it. Gaston never wanted his son to follow in his footsteps, but Trenton has become so deeply entrenched in Henry’s dirty dealings that is it all he knows. In a desperate move to lure his son away from Henry once and for all, Gaston calls his son home under false pretenses. Begrudgingly, Trenton heads for Deverill Castle, seat of his father’s dukedom. Enter Lysabel Wellesbourne le Mon. Daughter of Gaston’s best friend, Matthew Wellesbourne (THE WHITE LORD OF WELLESBOURNE), Lysabel is a widow with two young children. In a chance meeting with Trenton, whom she has known since birth but has not seen in several years, an unexpected spark ignites between them. Unfortunately, it is a spark that can burn down the strong relations between the House of Wellesbourne and the House of de Russe. Matthew doesn’t want the dark and fearsome Trenton for his daughter, but the fire that burns between the pair is stronger than Matthew can control. No amount of water will douse it and Matthew turns to Gaston for help. Will Gaston side against his estranged son? Or will the relationship between two old and dear friends be destroyed by a love that cannot be denied?